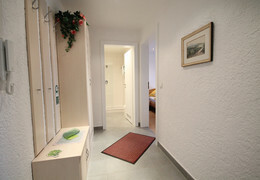 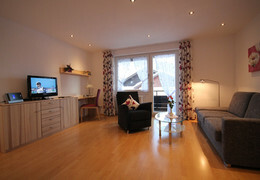 Lovingly arranged non-smoking holiday apartment on the fist floor with 48 sqm living space for 2 persons. 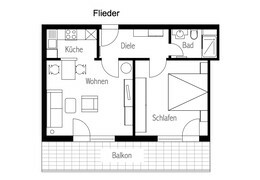 A big southward balcony with a great view over the surrounding mountains and seating-accommodation offers you a nice spot for relaxing hours. Spacious, nicely arranged living room with a matched set of couch and armchairs, a dining corner with a pass-through to the kitchen, cable TV, radio with cassette player and telephone; possibility of Internet access if desired. 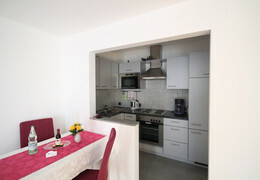 Separate, completely equipped fitted kitchen with tableware. 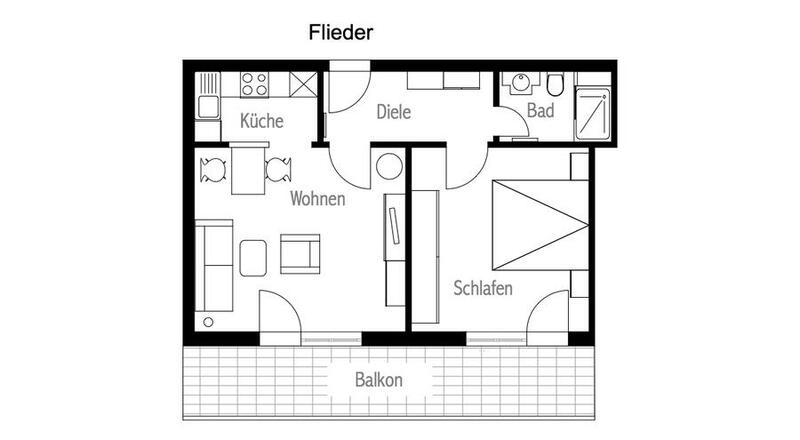 Big, completely equipped bedroom with a full-size bed. 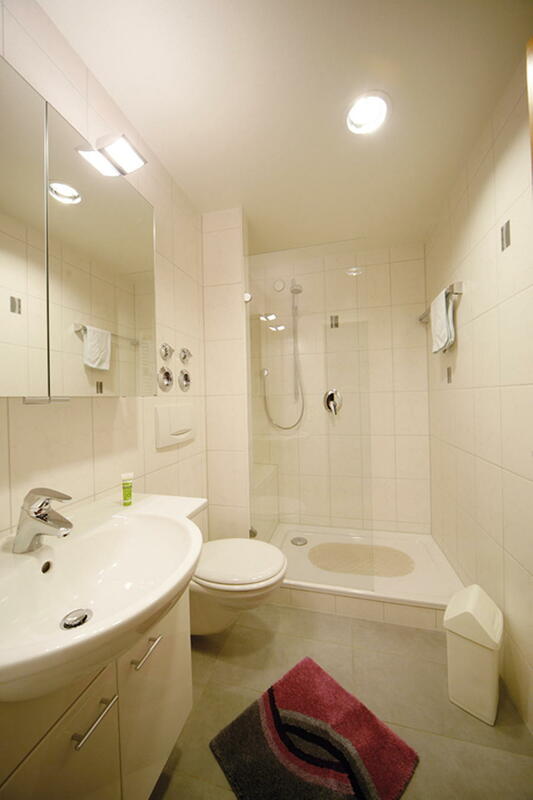 Bathroom with WC, shower, big washbasin and mirror cabinet. 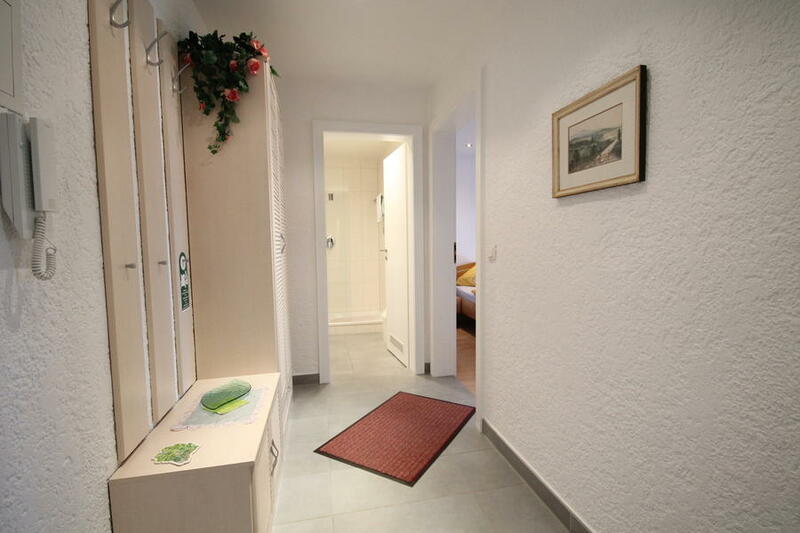 Hallway with coatrack and locker.